However, no one wants to spend a fortune on tapas. The charm in eating tapas lies in low prices and enjoying drinks with friends. 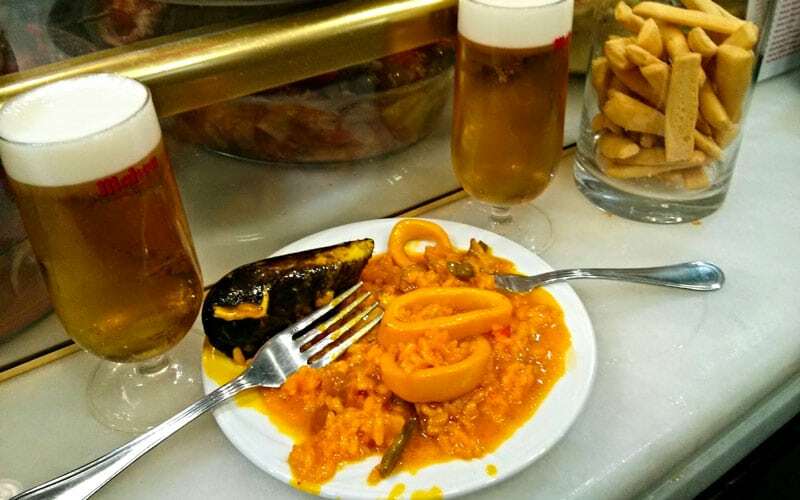 Luckily, there are lots of places in Madrid where you can order drinks and they will bring you free tapas. You surely know the classics like El Tigre, Casa Parrondo, Petisqueira, La Blanca Paloma, or Indalo Tapas (and if you don’t, you’re missing out); but today, we are looking out on new horizons. Write down the names of these bars and restaurants in Madrid where you can eat your fill of tapas and leave satisfied. Granada is famous for many reasons, one of them being their tapas cuisine. You feel like you’re in the south of Spain when you sit at a table in La Pequeña Graná in the Embajadores area. A caña costs €1.50, and, they serve Alhambra (as if they would serve anything else). With each drink you order, you can choose from 22 different tapas, which are simple but very flavorful (you’ll feel full after only three). You can also order a tapa without a drink for only €1. What stands out the most among the tapas offered are the kebab (chorizo, pancetta, or butifarra), the Andalusian Bienmesabe, and the York fajita with guacamole and cheese. This bar is further away from the city center. 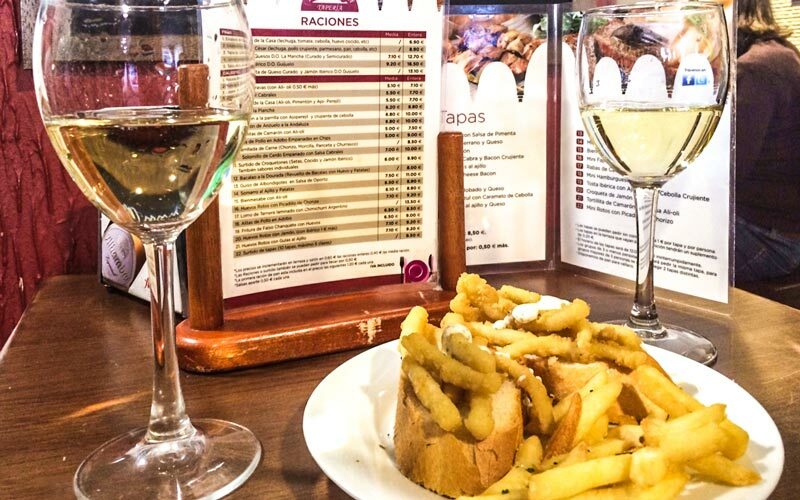 If you’re looking for a place to eat cheap tapas, indulge in some cañas, and, of course, leave satisfied, then this place will meet all your expectations. This bar is for people of all walks of life, and they are famous for their patatas bravas. 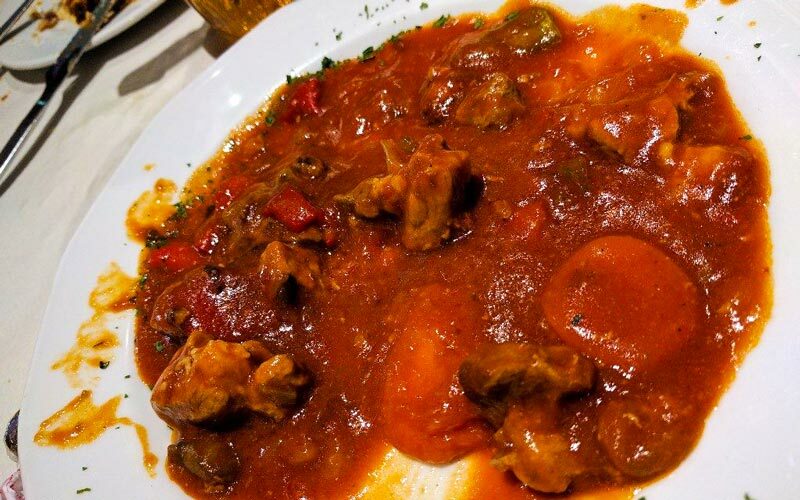 You can also dig in to their generously proportioned tapas of oreja, balck pudding of Burgos, and paella. If you’re looking for something simple, a place where you can eat tapas in relaxation, then La Esquina de Eusebio is certainly an option. When you order a drink, you get to choose freely from a selection of tapas that you can find at the bar. In this Asturian bar in Malasaña, you get to eat tapas, but the restaurant chooses which to bring you. The tapas are big, and they have a wide variety; you could get anything from chistorra con huevo to sausage with potatoes to Padrón peppers. It’s simple, and it’s a perfect place to take a group of friends. 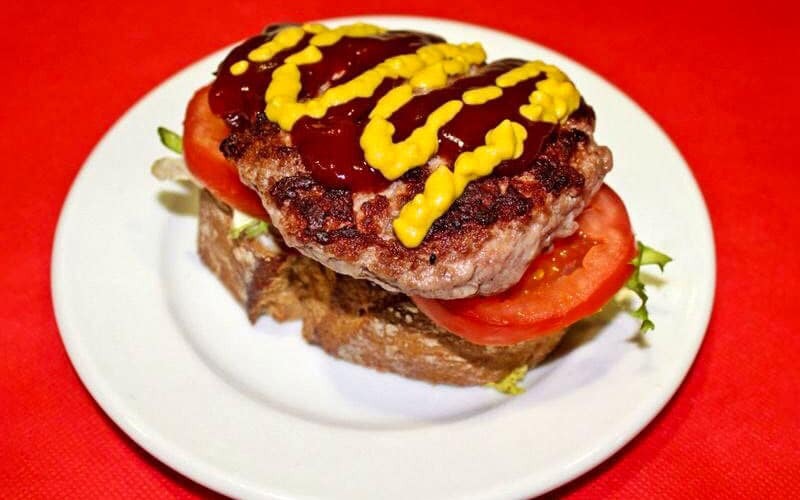 Located near the Puerta del Sol, El Rincón Abulense is a simple restaurant that serves homemade food. If you go during rush hour, it might be full, but if you’re looking an unpretentious place with good food and big tapas, then this is the place for you. 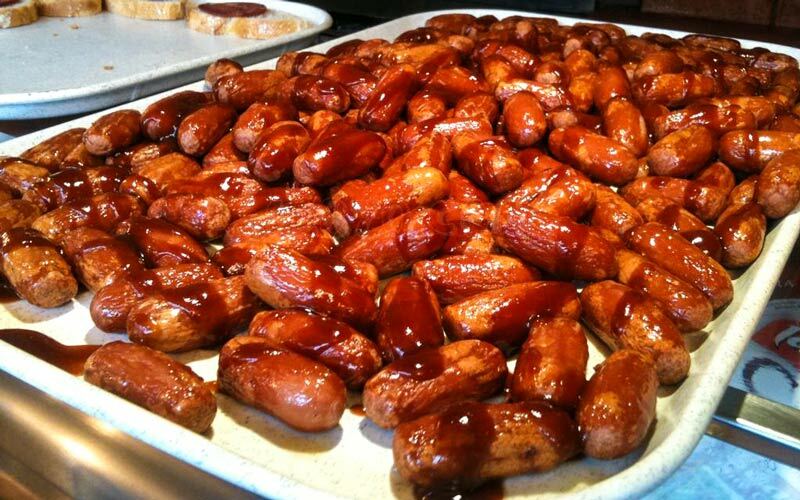 With every round of drinks, they’ll give you tapas like ensaladilla rusa, chicken wings, or meatballs. The service is great, and they also offer a menu of the day for lunch. 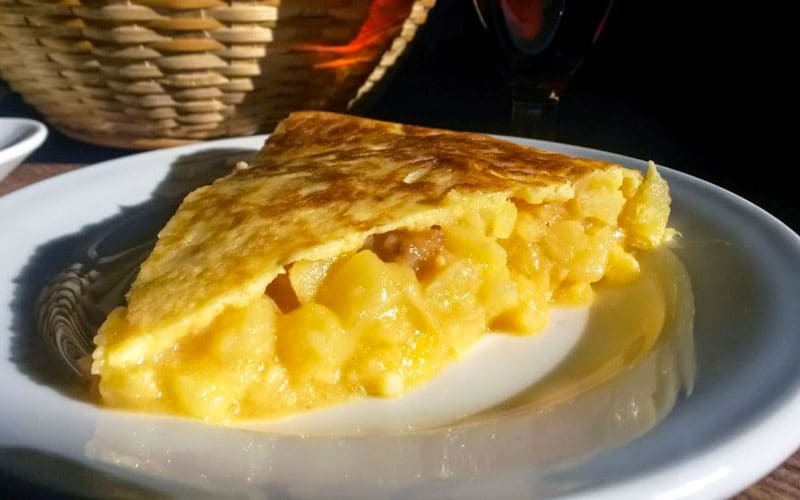 In the Salamanca neighborhood, you can eat “free” tapas at the bullfighting and Andalusian tavern Entre Cáceres y Badajoz. If you come during the weekend, you may not be able to get a table, so the trick is to go early. With every round of drinks, they’ll serve you good tapas of calamari, paella, or potatoes and chorizo, among others. In the neighborhood of Callao, you’ll find the restaurant Mareas Vivas. 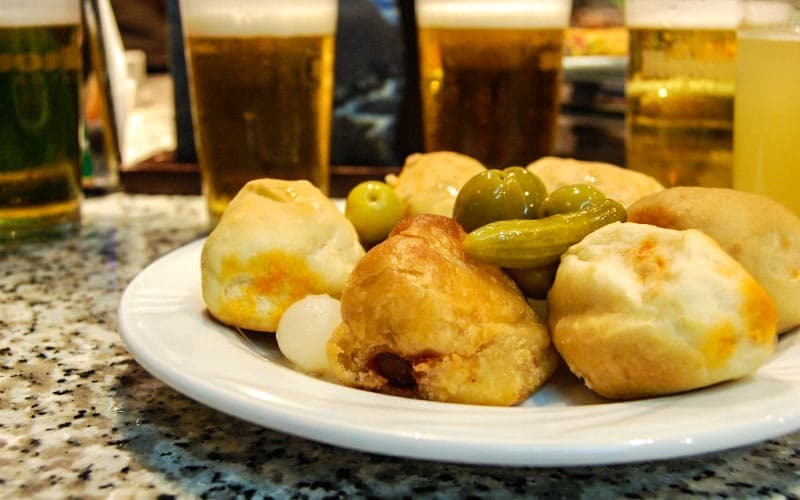 With a caña, or another drink, they serve you huge tapas, perfect for keeping your hunger at bay. You can get tapas of fideuá, garbanzo beans, or potatoes with aioli.